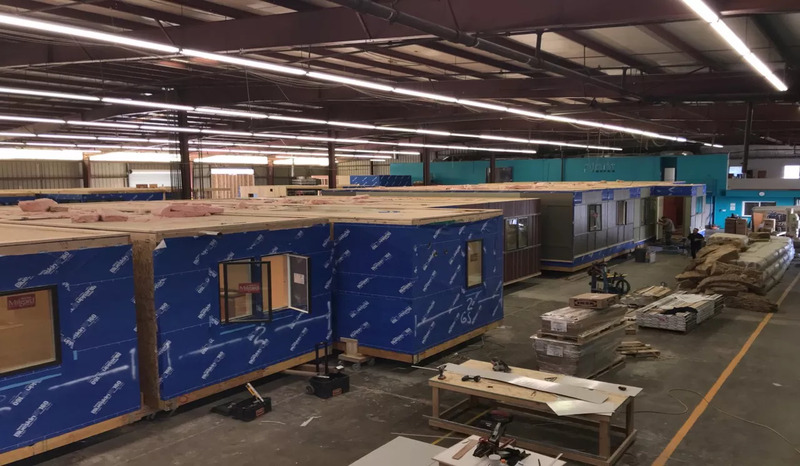 The construction industry is next in line for disruption by Amazon, which just invested in prefabricated homebuilding startup Plant Prefab, it was announced. In total, Rialto, Calif.-based Plant Prefab raised $6.7 million in series A funding from Obvious Ventures and the Amazon Alexa Fund, which typically backs startups focused on innovative voice technology. Neither Obvious Ventures nor Amazon Alexa Fund would reveal how much each invested individually, but a spokesperson for Obvious Ventures said it was a minority investor in the round. A prefab, or prefabricated building, is defined as a building in which pieces are created independently and then assembled on site. Plant Prefab, which launched out of LivingHomes in 2016, builds new single- and multi-family prefabricated homes using sustainable technology and smart home tech. While Amazon’s investment may seem odd, it actually falls in line with the company’s larger efforts to bring its Alexa voice assistant technology to as many homes as possible. In the spring, the retail behemoth struck a deal to bring Alexa to new homes built by Lennar, the country’s largest homebuilder. Last week, it unveiled a series of new Alexa-powered home and car gadgets. Plant Prefab’s model is based on the premise that lengthy construction is unsustainable and expensive for buyers. Company CEO Steve Glenn said prefabricated and factory-produced homes can speed up new home construction in cities like New York and Los Angeles, which already suffer from a shortage of housing. Time will tell what kind of smart technology will figure into new prefab homes. “Building homes in factories addresses these challenges, particularly as we’re able integrate online technology, new building systems, and automation to dramatically reduce the time and cost necessary to design and build high-quality, custom homes,” Glenn said in a prepared statement.